The much anticipated trailer of Tiger Shroff's next - Baaghi 2, was launched earlier today and needless to say, it was a grand affair. If the power packed trailer is anything to go by, the film - sequel to Nadiadwala's production venture Baaghi (2016), promises to be a high octane action drama. Ronnie (Shroff) is an army officer, who goes in search of his ex-lover's (Patani) child, who has been kidnapped. That sets the basic premises of the film. Of course, not without larger than life action sequences and daring stunts. The ensemble cast looks really interesting. As the trailer progresses, you are introduced to other key characters in the film, portrayed by Manoj Bajpayee, Randeep Hooda, Prateik Babbar among others. Bajpayee and Hooda's character looks particularly interesting, and we feel their performances will be one of the film's biggest strengths. Shroff looks ripped, strong and totally geared up to kick, punch and fly on repeat! His look is sure to become extremely popular and we feel the actor is all set to create an impact with his performance in the film. We get to see very few glimpses of Patani, who plays the lead actress. However, we hope her character stands out and makes a mark in the film, just like Shraddha Kapoor did in the previous instalment. Earlier today, Shroff and his co-star, Disha Patani, launched the trailer in a rather unique way at an event. The duo made a stylish entry from a helicopter at the Race course in Mumbai, and later, were joined by close to 100+ fans; all of whom were excited to catch a glimpse of their favourite stars. They were even spotted wearing a red scarf or bandana on their hands, just like the duo. Shroff and Patani also gave the paparazzi some great shots, as the former did air splits and some fun poses. The trailer was later launched at a media event. 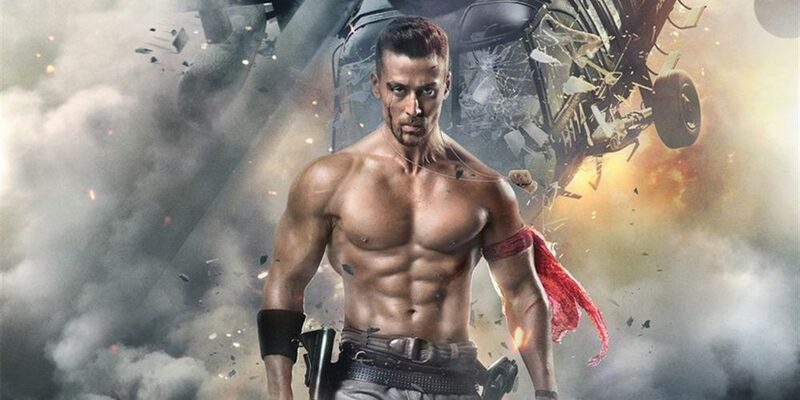 Interesting to note that Baaghi 2, helmed by film maker - choreographer Ahmed Khan, has been creating immense buzz ever since its announcement last year. The makers have been treating the audience (on social media) with some cool updates, and raised the anticipation level a notch higher. They even invited fans to be a part of the 'rebel' campaign by joining an activity. Co-Produced by Fox Star Studios and Sajid Nadiadwala under Nadiadwala Grandson Entertainment, Khan's Baaghi 2 is slated to release on March 30, 2018. What do you think about the trailer? Any thoughts?